David Gregson is a Chartered Surveyor, Chartered Biologist and Chartered Environmentalist. After graduating from the University of Wales in 1977 he worked as an ecologist for the Glamorgan Wildlife Trust, and became their first full time Conservation Officer. During that time he gained valuable experience in environmental land management, and was elected to several important consultation bodies. He wrote a number of published articles in a variety of biological periodicals. During this time he was elected as a Chartered Biologist. In 1982 he left to pursue a career as a surveyor. In the years 1982 - 1986, while qualifying as a Chartered Surveyor, he worked under contract as a Land Agent for the Nature Conservancy Council, negotiating management agreements with landowners on SSSI's and undertaking other general duties. During this time he was the Demonstrator at a Countryside Commission Demonstration Farm, promoting the integration of farming, forestry and nature conservation throughout UK. He was founder treasurer of the Glamorgan Farming Forestry and Wildlife Advisory Group. 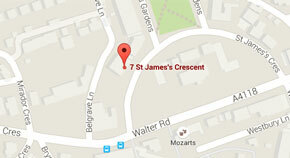 He has practised as a Chartered Surveyor since 1986. From 1986 to 2005 he was a partner, later Director, of Peter Morgan Estate Agents and Surveyors, a prominent local firm with a chain of offices between Bridgend and Llanelli. Managing the professional services wing of the company, he gained experience in a wide range of surveying disciplines. which are examined in more detail elsewhere on this website. The provision of expert reports became an increasingly important part of the practice, and he has appeared before all the major courts and tribunals in the country, including High Court, Crown Court, County Court and Lands Tribunal. In 1999 he was elected to the Academy of Experts. He developed an interest in commercial mediation, and in 2002 became qualified as a Commercial Mediator via the Academy of Experts own training system, QDR. In 2005 he set up on his own account with offices in Bridgend and Swansea under the style of David Gregson Limited. In 2008 he was elected to membership of the Society for the Environment as a Chartered Environmentalist. In December 2008 he became one of the first two people in Britain to become an Accredited Expert Environmental Witness (A.E.E.W.). In 2015 He received a Special Planning Award from Bridgend County Borough Council for the refurbishment of Llangynwyd Village Hall. 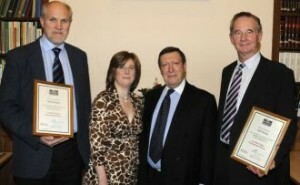 David Gregson (on left) receives his A.E.E.W. practice certificate from Michael Cohen, Chairman Emeritus of the Academy of Experts, at the A.G.M. of the Society for the Environment, December 2008.